I’ve seen this type of dress often, sometimes referred to as a pillowcase dress. In most cases, it’s made for a 3 year old. Perhaps there’s reason for that. Does the fact that it’s designed for a child mean that it’s not appropriate for a 30 year old? My answer.. obviously a resounding no! I decided to go ahead with it, and luckily was able to eek out enough fabric for the back side of the shirt. Using the remaining scraps, I made a long ribbon which I threaded through the top of the shirt. I have it so it ties on one side, though you could also change it a bit so it would tie on both shoulders. At the bottom, I used the remaining white rick rack from the green skirt I posted about here. I think it’s quite cute, and even received a couple (unsolicited) compliments when I wore it over the weekend. 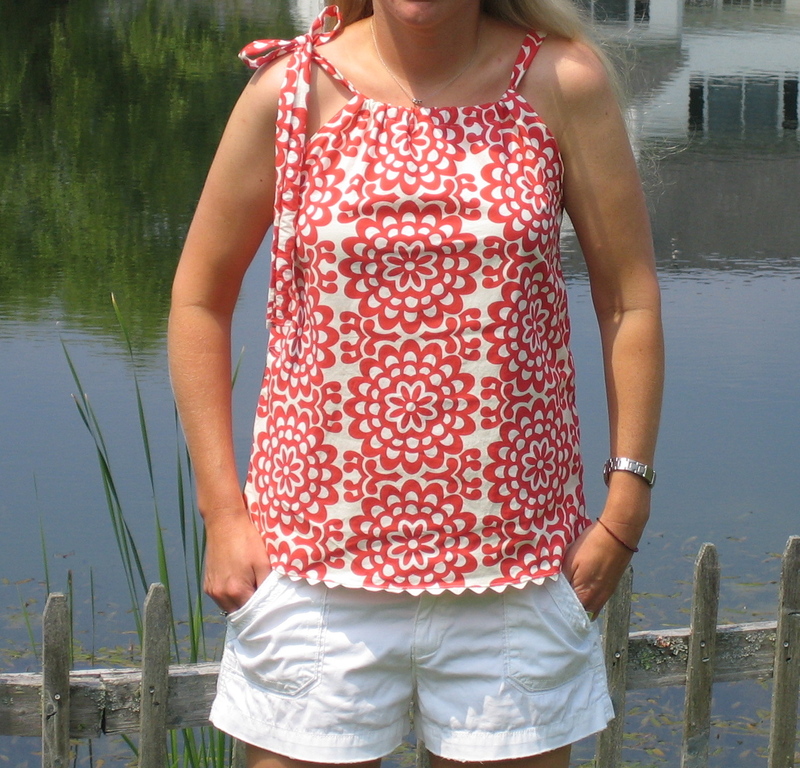 This entry was posted in Clothing and tagged Amy Butler, Clothing, Fabric, women. Bookmark the permalink. I think your sister must have been jealous 🙂 I think it looks great! I *love* *love* love* this top. May I ask how you designed the pattern? 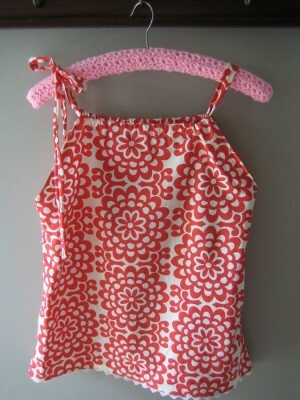 I have seen the pillowcase dress patterns for young girls, but how did you modify those to create a tank top? I am super excited about creating a few of these for the summer – any imput you are able to share would be very much appreciated. Thank you! PS I *love* both of your Heather Ross-inspired tops. 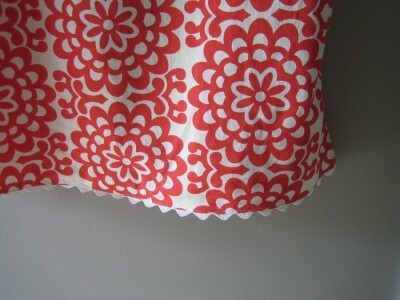 The first top, in fact, got me out the the fabric shop to buy that sweet Mendocino print. I can hardly wait until the book is released in Canada. 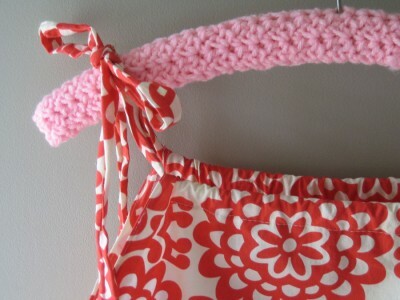 yes, i love the top too…did you make the pattern yourself?